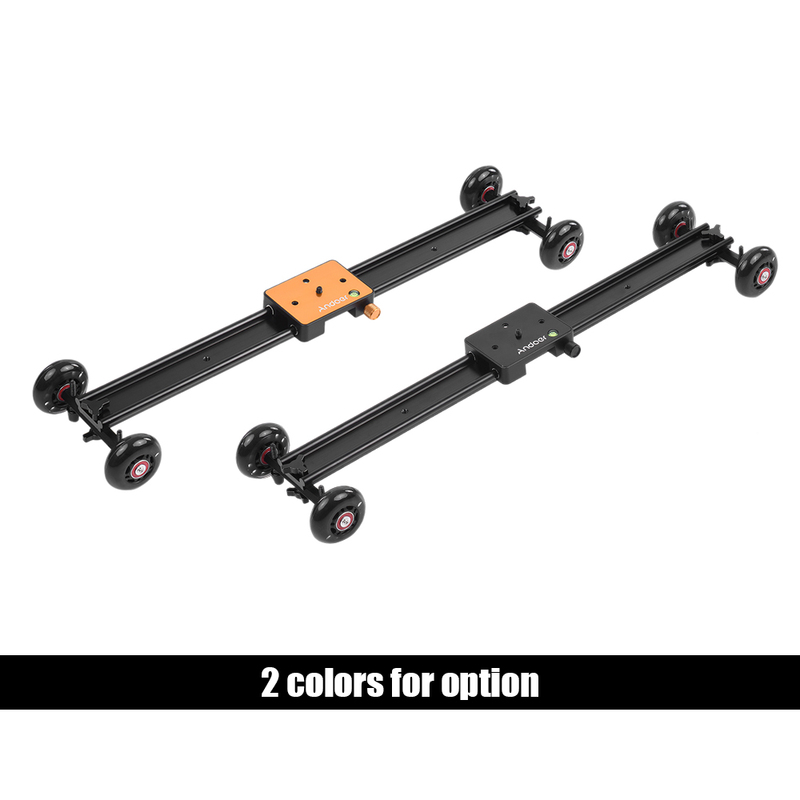 It is a perfect combination of slider car and table dolly. The platform can move to the right/left on the 60cm long track. 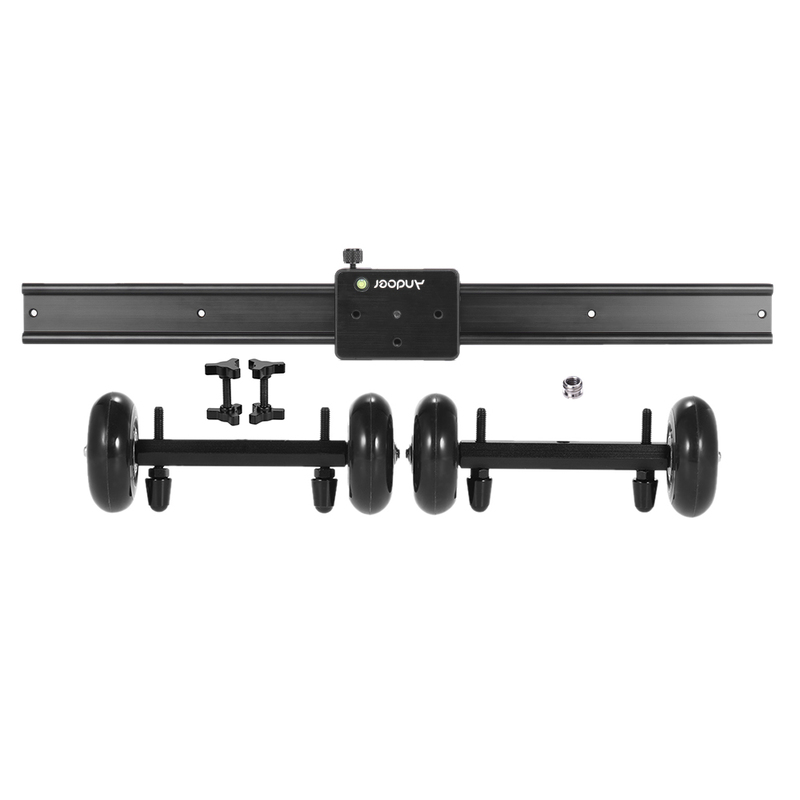 With 4 soundless wheels, it can move around the ground smoothly. 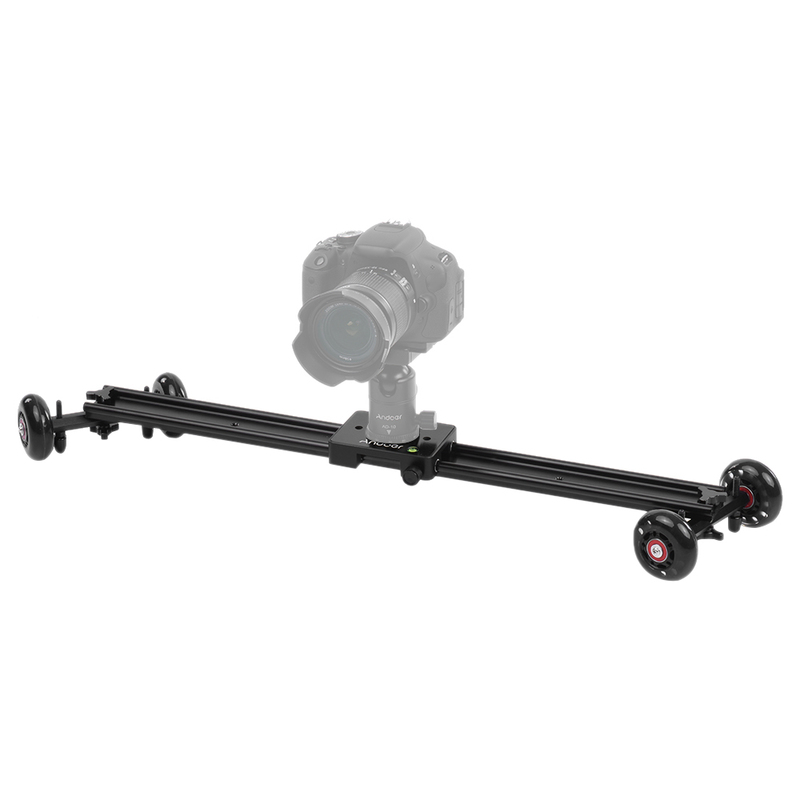 You can adjust the wheel position and axle angle to make straight slides or creative curved movements. 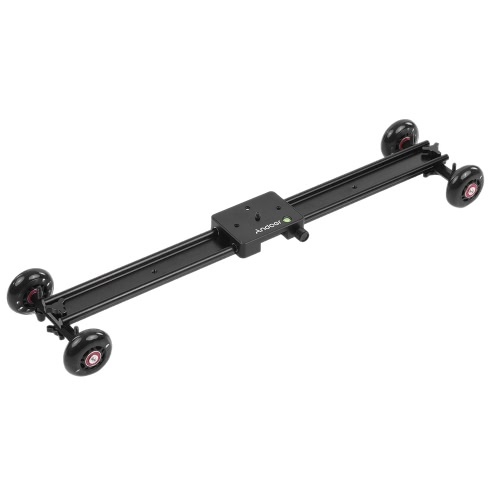 Great for moving shooting. 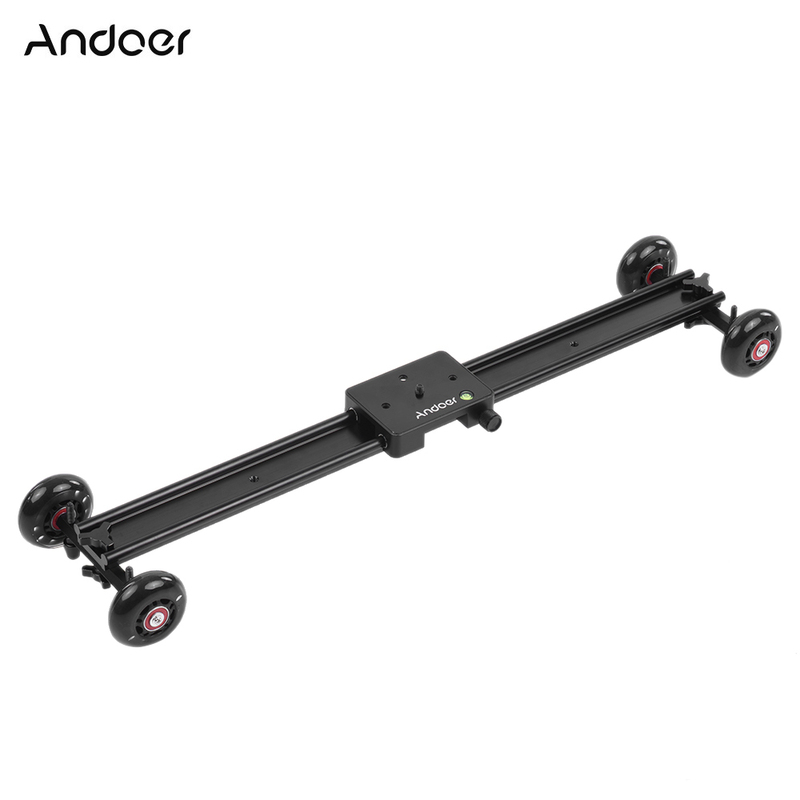 4 wheels slider track, can move smoothly and soundlessly. 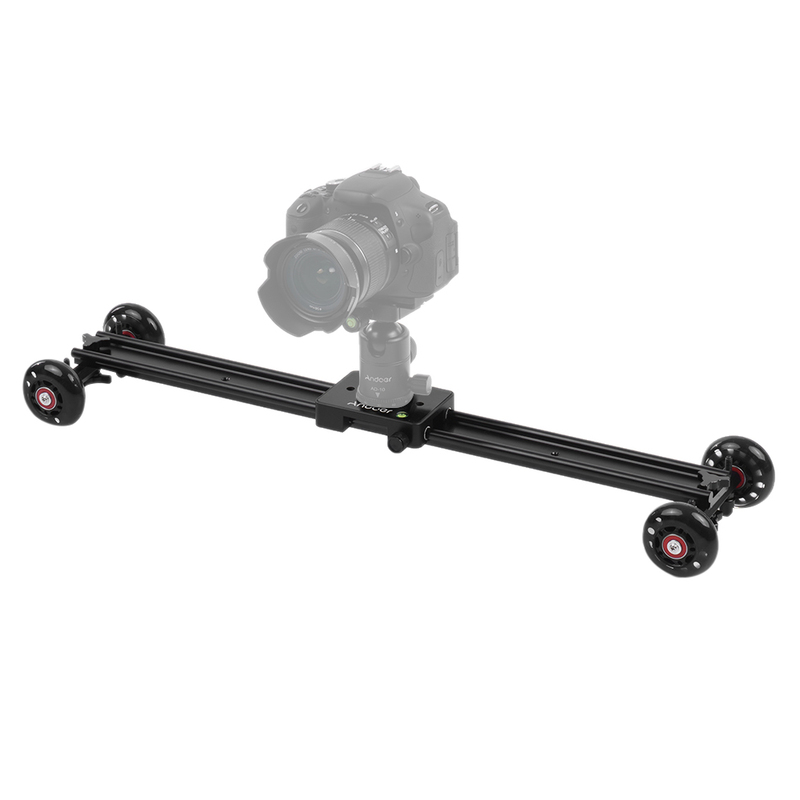 Change wheel position and axle angle to make straight slides or creative curved movements. 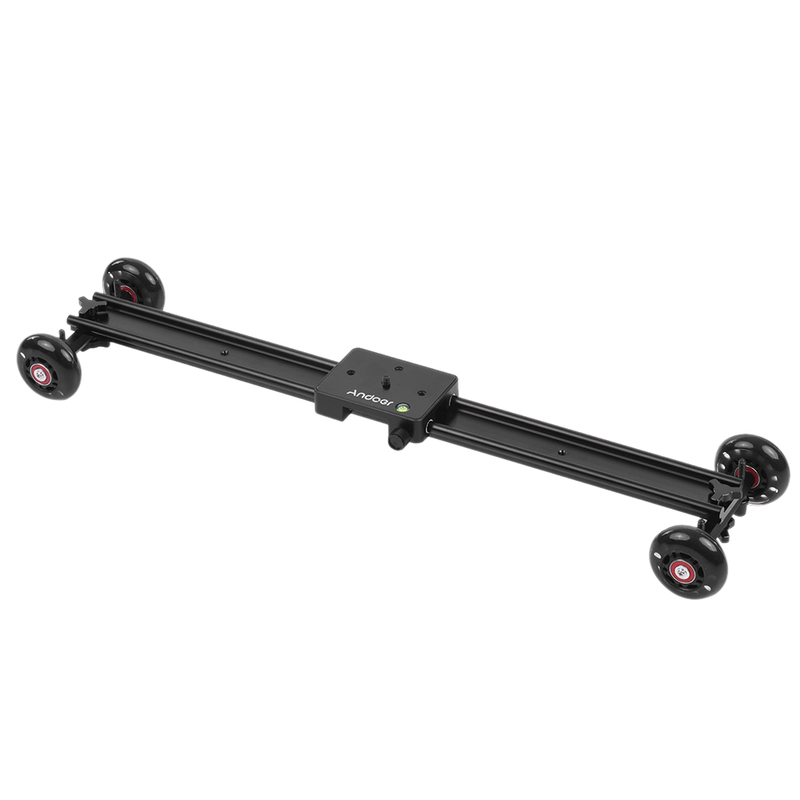 60cm/23.6" table dolly, sliding distance 56cm/22", with 1/4" and 3/8" screw on track. Unscrewed the retractable legs beside wheels, you can place the track on table steadily. 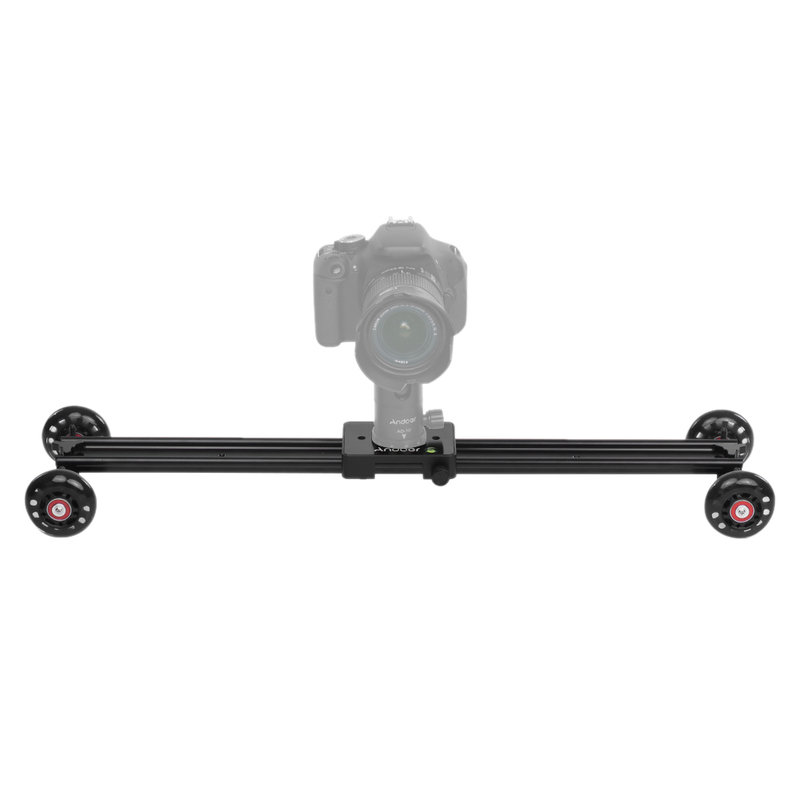 Detachable camera platform with 1/4" screw, 3 * 1/4" screw hole, one spirit level and one fasten knob. 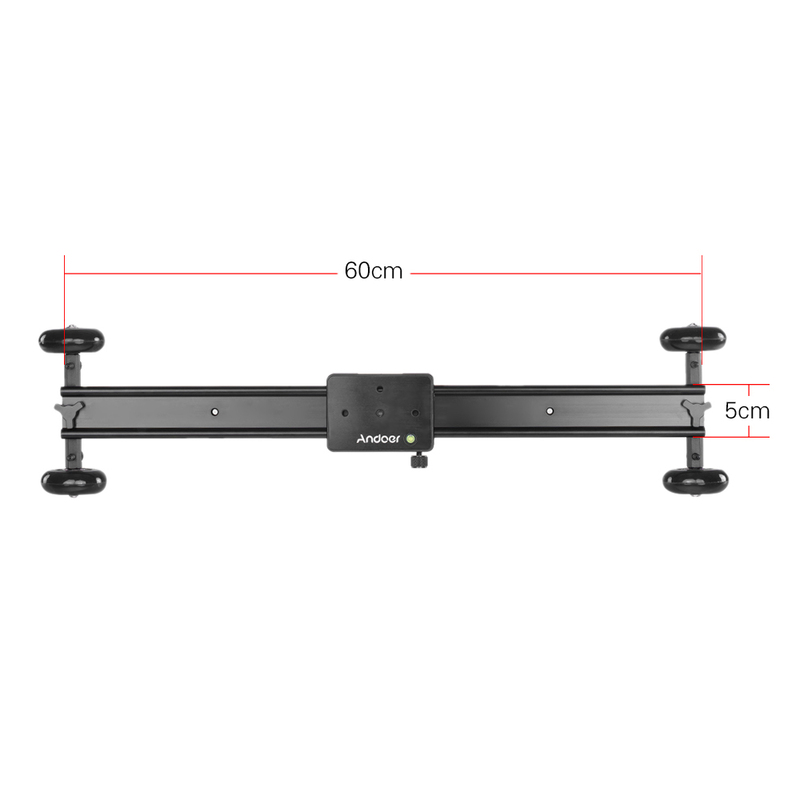 Made of heavy-duty anodized aluminum alloy, can bear up to 6kg/13.2Lbs loads.